For our June and July treks, Peak Potential Adventures will be doing the dinner and breakfast catering because the hosts at the ecolodge will be away overseas. We will still cook up a storm. Only a 20% deposit is required to secure your position on the unless the trek date is within 60 days and then the full payment is required. If the trek date is not guaranteed to depart yet, please do not book pre-trek accommodation until we have confirmed the date with a G beside the date. Your funds will be held in our adventure holding account until guaranteed. 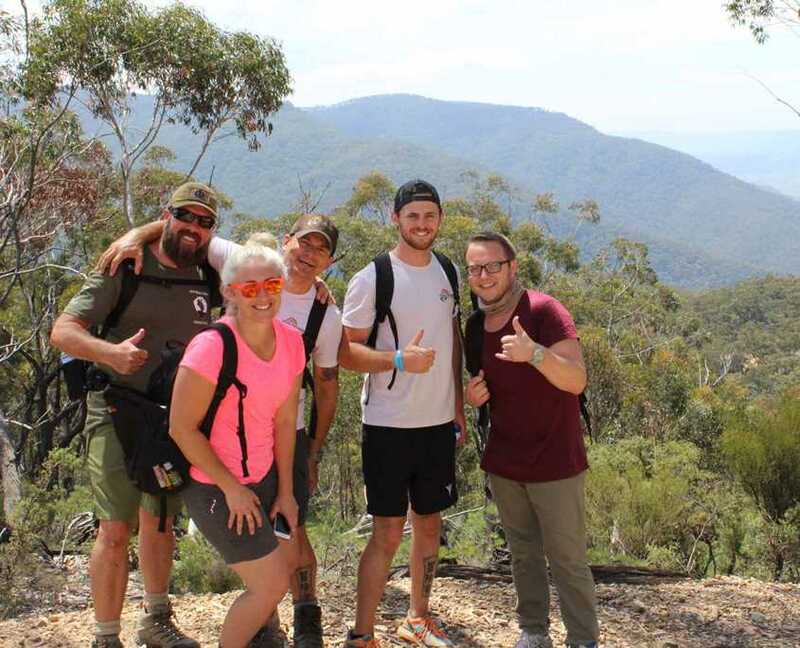 Peak Potential Adventures is offering you the opportunity to join this exclusive fully supported trek of the Six Foot Track in The Blue Mountains, New South Wales. 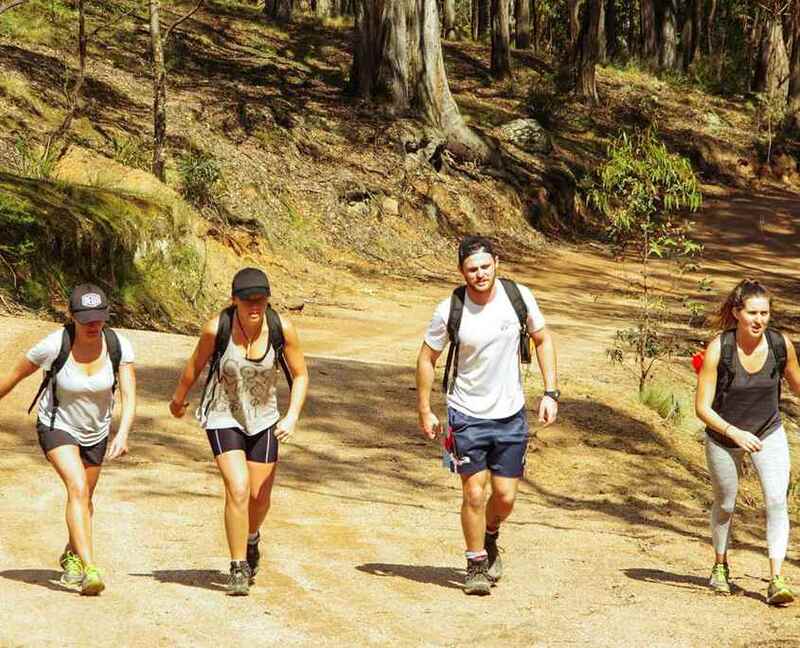 Let the team at Peak Potential Adventures take you on a professionally guided and fully supported two-day trek of the historic Six Foot Track in the Blue Mountains. 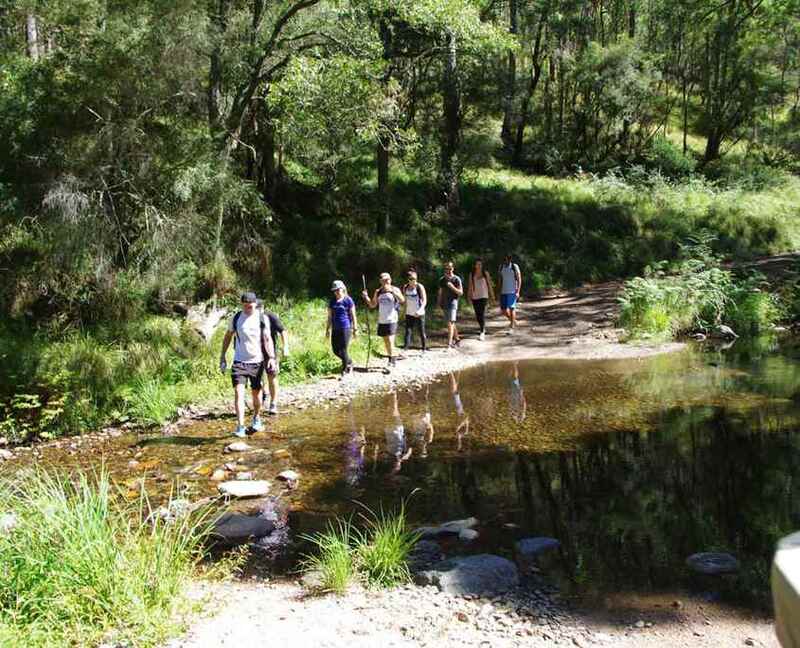 This trek would be regarded as one of New South Wales most iconic overnight treks. 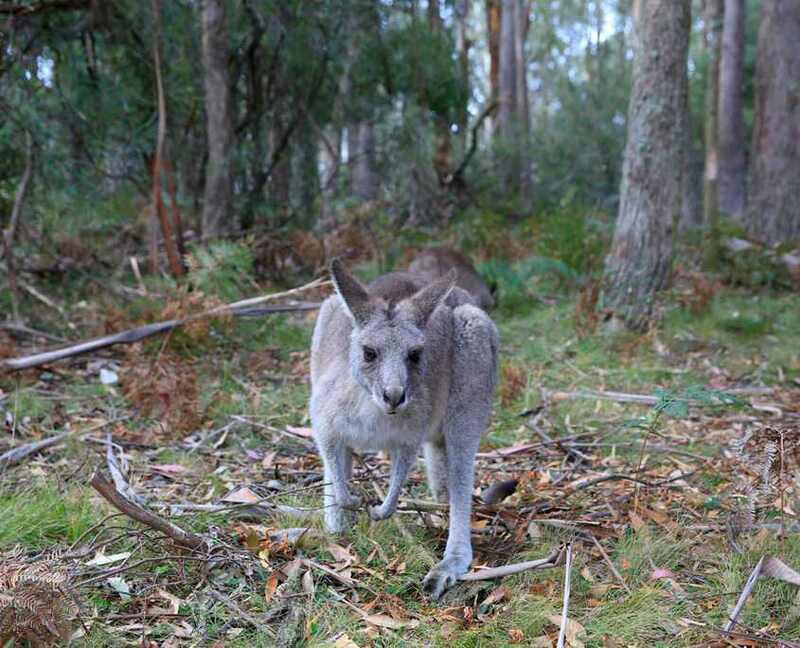 The Six Foot Track is a 45-kilometre old horse and cart route that was built in the late 1800s to ferry supplies between Katoomba and Jenolan Caves. Your overnight gear will be transported in the support vehicle, so you’ll only need to carry a day pack over the 45-kilometre journey. 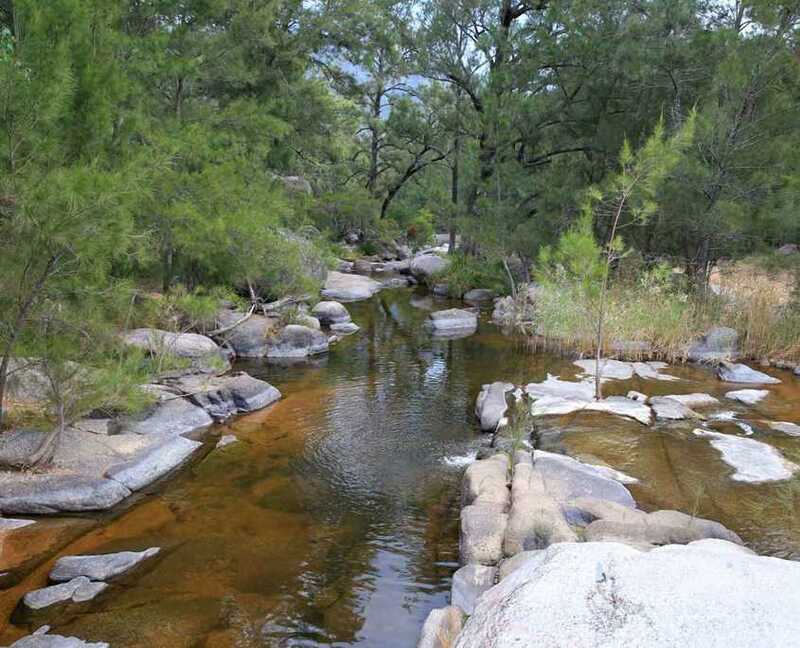 One of the highlights will be to stay overnight in the tranquil ecolodge which is nestled in bushland just back from the beautiful Cox’s River. Day two of the trek starts with a crossing of the famous Bowtells Swing Bridge as the team makes its way towards Megalang Valley. 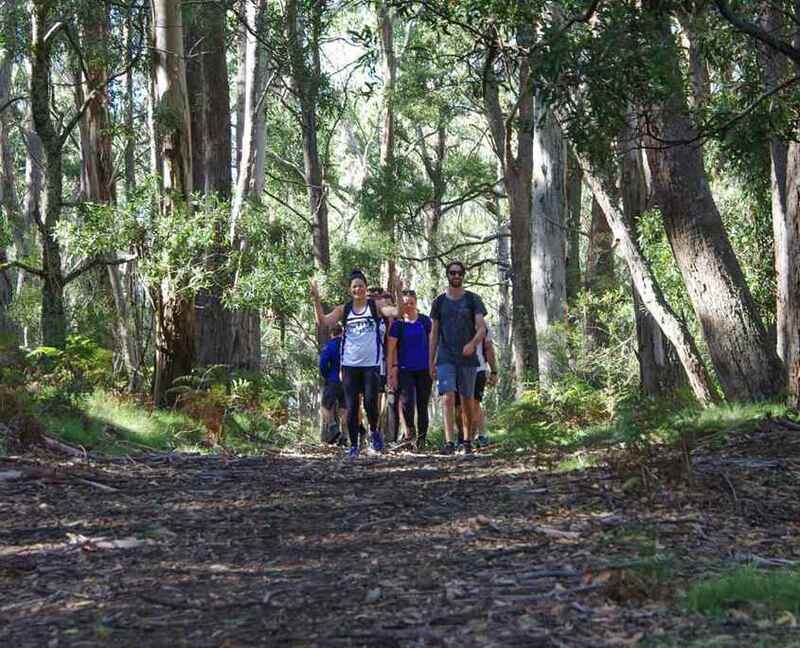 Finish the trek at the historic Explorer’s Tree where Gregory Blaxland, William Lawson and William Charles Wentworth, the explorers who achieved the first known successful crossing of the Blue Mountains of New South Wales by European settlers, carved their initials in 1813. The trek is both challenging and fun based on the program that Peak Potential Adventures has designed. Because this trek is accompanied by our support vehicle most of the way which carries your overnight gear, you’ll only need to carry a daypack. All you have to do is bring some basic equipment like comfortable walking shoes, a warm jacket and pants and enjoy the scenery, the challenge, the serenity and the great company of like-minded people on this two-day weekend trek. The Six Foot Track is an adventure that delivers a remarkable experience of a historic Australian trek. 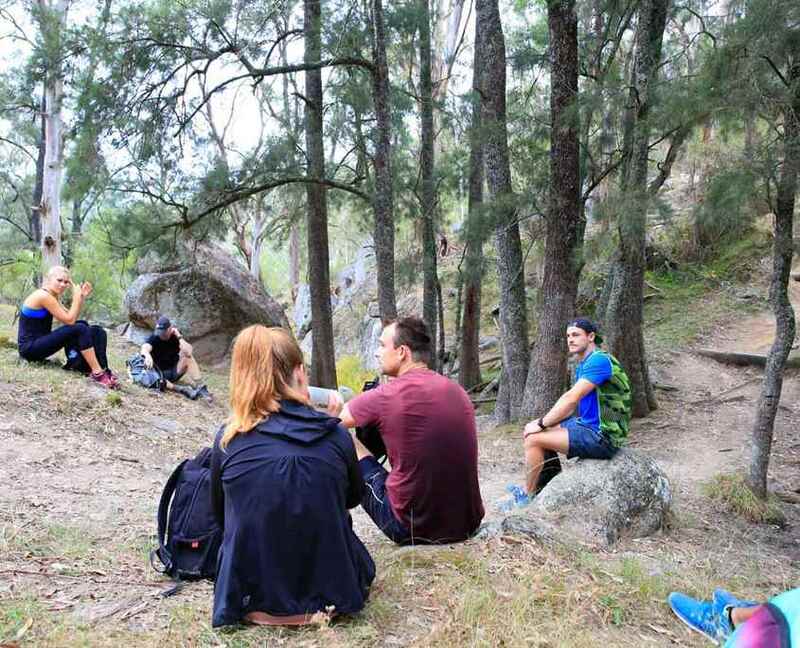 You can choose to do it as a stand-alone adventure or use it as a foundation experience for future multi-day treks, or incorporate it into a training plan for multi-day treks in Australian and overseas destinations. The Six Foot Track has some challenging features which make makes it a great training trek for other adventures offered by Peak Potential Adventures to Kilimanjaro in Tanzania and The Overland Track in Tasmania. The Six Foot Track will provide a good introduction to endurance trekking and if completed, participants will be prepared mentally and physically for bigger multi-day treks. The trek includes access to a support vehicle and it’s important to note that this adventure is not just about the challenge – it will be fun and deliver moments that you will remember for the rest of your life. 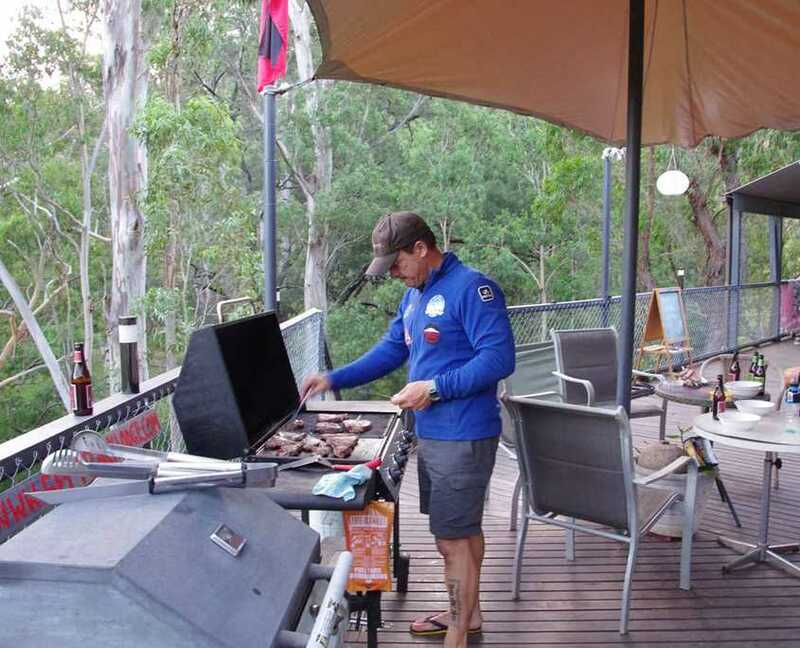 Overnight accommodation will be in a beautiful and peaceful ecolodge on the Coxs River. Just disconnect from daily life for the weekend and take in the great outdoors. We will meet in Katoomba at 6:15 AM and take our private bus to Jenolan Caves to start the trek. 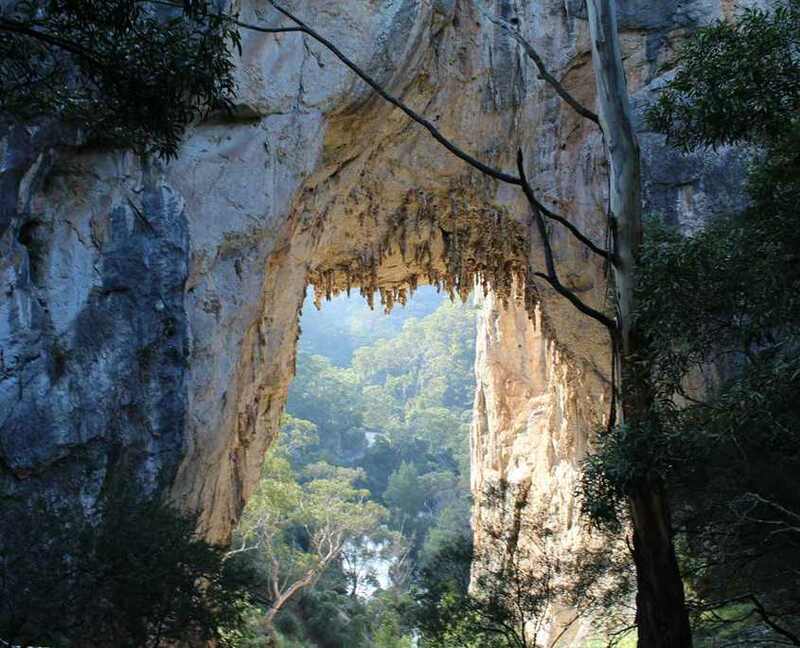 The trek will start at around 8:00 AM from Jenolan Caves once the team is organised. The team will trek up the right of the Jenolan Caves Conservation Area which is a steep feature as we climb out of Jenolan Caves. 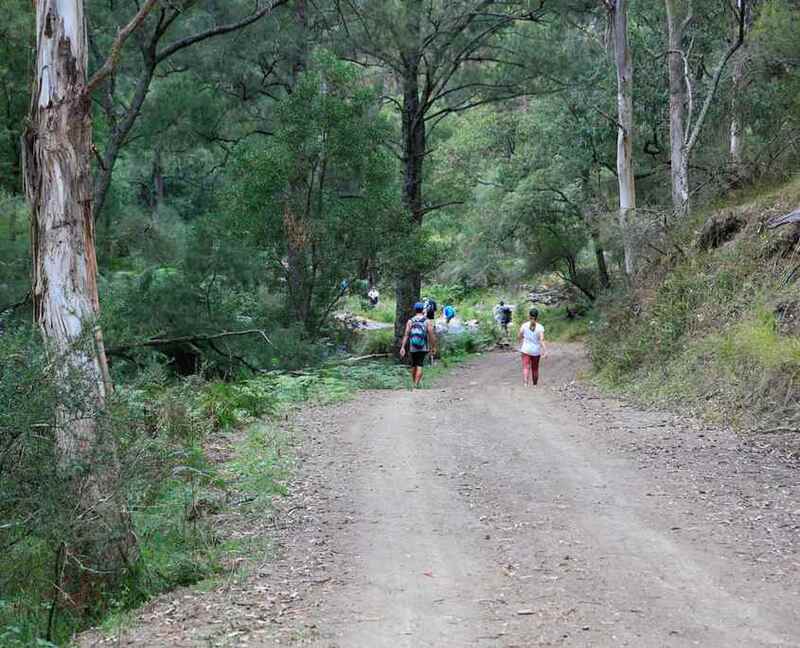 After about 4km, we will pass Kiaora Hill as we make our way along Jenolan Caves Road for around another 3.5km before crossing the road and heading into the forest towards the Black Range Camping Ground which will be another 2.5km’s trekking. We will have a morning tea break at Black Range Camping Area before heading off along Black Range Road. This section is about 8.7km. We will break for lunch along this section before we take on the steep downhill section that will wind its way down the range for about 4.3km when we will hit Alum Creek Camping Ground. Some of the views along these sections are stunning. We will rest at Alum Creek and have a good break before we take on the big 2km uphill feature coming out of Alum Creek. This feature is challenging as we will have clocked up around 23km when we have to negotiate it, but a lot of the trekking has been on the flat or downhill, so we should have energy in reserve at this stage. Once we are over the steep feature called the Mini Mini Saddle, we will trek down another steep section for about 4km into our final destination for the day at Coxs River. Tonight we will be staying in our ecolodge and will enjoy a beautifully cooked meal and sit around and enjoy the peace and tranquillity of this beautiful setting. After dinner, play cards, chat, read a book or just sit and relax, the choice is yours. Today is a much shorter day, but we will wake at 6.00 AM to have a delicious cooked buffet breakfast. 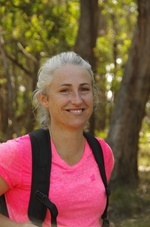 We will aim to head off toward Katoomba (Explorer’s Tree) from the ecolodge around 7:30 AM Lunch will also be provided. We will head off and not too far from the cottage, we will walk across the famous Bowtells Swing Suspension Bridge that goes over the Coxs River. The views in this area are magnificent. After we navigate the bridge, we will continue for another 4.5km before we come over a hill feature and will be treated to amazing sweeping views out to the Blue Mountains and Katoomba….we are getting closer now. We will see the Dryridge Vineyard on our right as we head towards the Megalong Cemetary. We will have a break here and refuel with water and food before we head towards the Megalong Village which is another 3.7km away. We will have another quick break around here before we take on the last section, which will take us 4.6km up through Nellies Glen and then up to the very steep section which we now call “Dummy Spit Hill” which comes out eventually at the top at Explorers Tree. Congratulations!! From here we will head into Katoomba to have a celebratory drink before heading home. If you are planning on staying Friday night at Katoomba which is highly recommended, we would recommend checking out the following booking websites for the best deals. If you are looking for things to do in Katoomba and the broader Blue Mountains area before or after The Six Foot Track trek, please explore the Visit NSW Blue Mountains website. Lunch on Sunday because we are usually at Explorer’s Tree by lunchtime. You should be able to walk at least 8-9 hours the first day with a light daypack weighing up to 3kg. The second day is 5-6 hours. Anyone should be able to undertake The Six Foot Track trek with a reasonable level of fitness and health. Because we have a full-time safety vehicle following the team, if we have any issues, members can be driven to the ecolodge to rest up for the final day. The first day is really the toughest part of the trek as it is an 8-9 hour day depending on the team’s speed. The second day back to Katoomba will be around 5-6 hours trekking depending on the team’s speed. 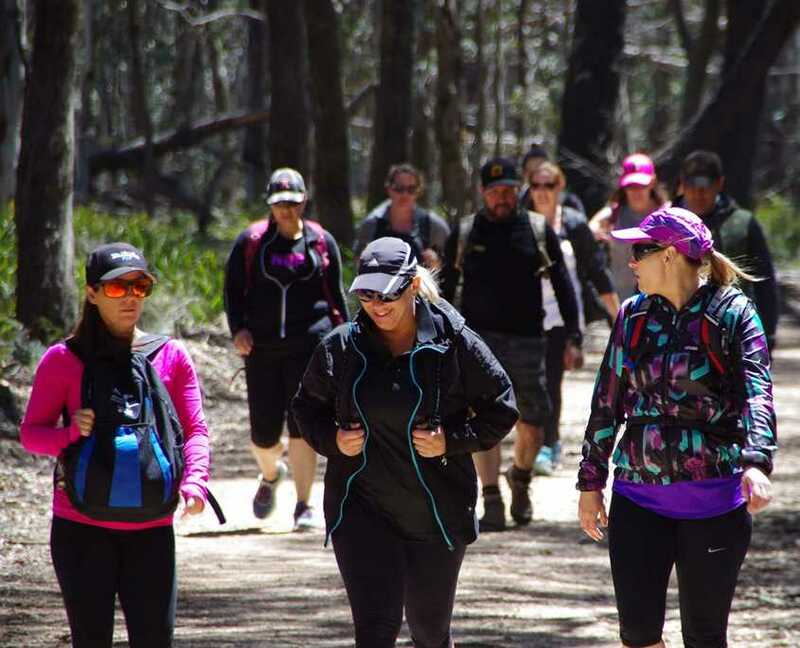 We are qualified Personal Trainers, so we will assess your current fitness levels and provide a training program that would be suited to complete this trek comfortably. If you are unsure, please contact the Peak Potential Adventures team to discuss your situation and to see if this trek is suited to you. (Most of the gear will be carried in the support vehicle that will follow the team over the two days of trekking. The route is mostly flat and downhill on the first day, which is the longest section of the two-day trek. Times will vary depending on team speed). Peak Potential Adventures will provide some gear, but you will require some gear. The basics: (You will need comfortable walking shoes/boots, comfortable walking socks, a jumper and warm pants, toiletries, sunglasses and sunscreen. Peak Potential Adventures will provide a 20 litre daypack, rain poncho, food, water, and other logistics support like private transport to Jenolan Caves and from Explorers Tree back into Katoomba at the end of the trek). 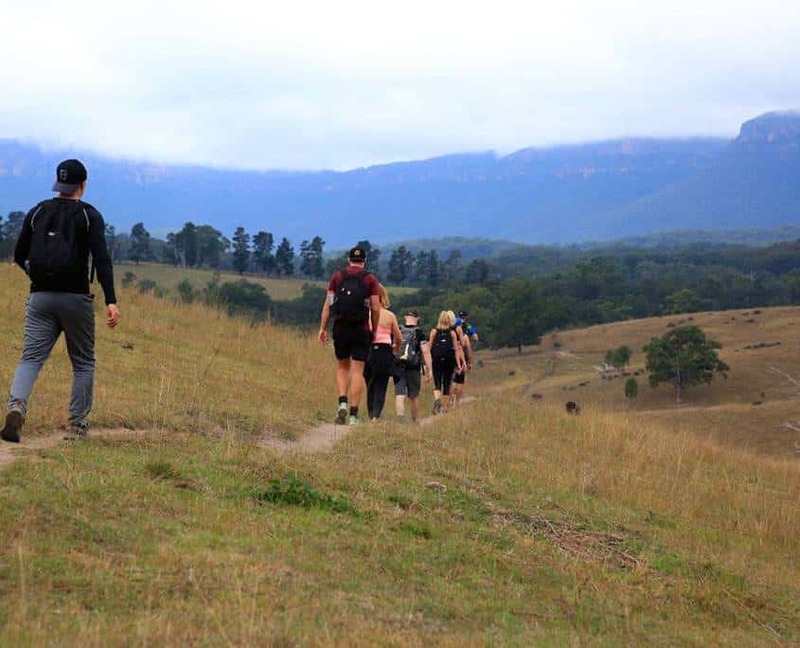 Trek finish first day (Saturday) (Jenolan Caves to Coxs River) – Between 4:00 PM – 5:00 PM (about 8-9 hours trekking). Trek finish second day (Sunday) (Coxs River to Explorers Tree) – On or before 1:30 PM (about 5-6 hours trekking). (These times may vary depending on the speed of the team, weather conditions, road conditions, length of breaks and if there are any medical or logistical issues. Please contact 0410 569 692 if there are any issues on the day). In 1884, a government survey party was appointed by the NSW Premier, the Hon. Alexander Stuart to find a horse track from Katoomba to Jenolan Caves. The group left Sydney on 24 March 1884 and the following day descended the Katoomba cliffs at Narrowneck into the Megalong Valley. 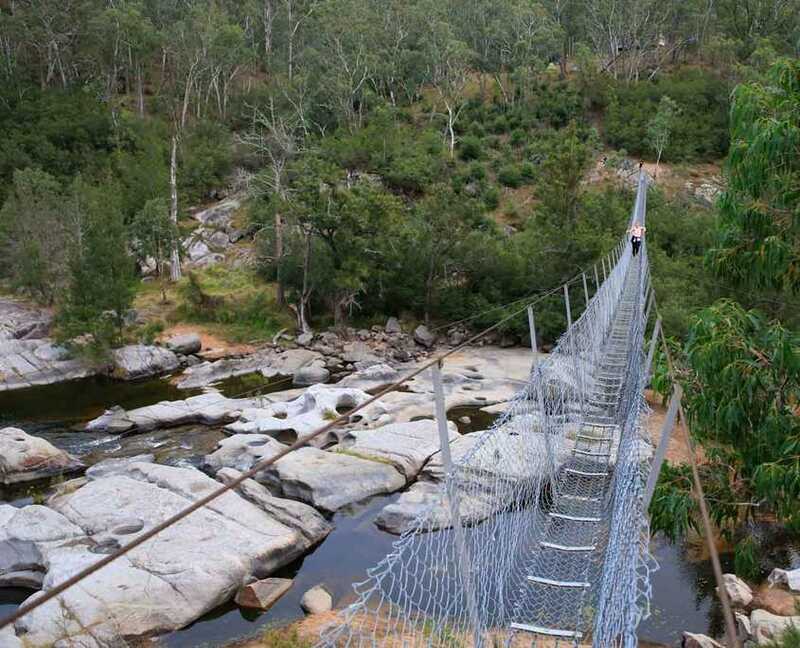 It was soon thought that Black’s Ladder might provide better access, so the party blazed a fresh route from the Megalong Creek to the Explorers Tree. The party then marked a route to Coxs River and a second base camp was established at Little River. From there a route was found which ascended the Black Range. They reached Jenolan Caves on 3 April 1884 having taken 11 days to mark the original 26 miles (about 42km). NSW Parliament consequently granted 2,500 pounds for the track’s construction. Travellers could now ride from Katoomba to the caves in less than eight hours. The new track became popular until around 1904 when a road link from Megalong Valley to Blackheath was opened. This new road provided improved access to the valley and horse and bollock teams were more easily used for the transport of goods. By the 1930s motor vehicles became more popular and the number of people using the track declined and sections of the original track were converted to roads and fire trails. In the 1960s, an unsuccessful attempt was made to construct a fire trail/road through Nellies Glen by dumping spoil from a quarry. A new track has been made on the regrowth area. A diversion to access the Black Range camping ground has increased the distance to around 45 kilometres. Peak Potential Adventures holds public liability insurance of $10 million through Aon Risk Services. If you have any further questions or would like more information about our Six Foot Track trek. You can also get in contact with us on our Facebook and Instagram feeds. The trek will usually depart monthly. Because of high temperatures in the Blue Mountains and fire risks, we generally cease operating our Six Foot Track trek over the hotter summer months. Please also check our Facebook and Instagram feeds because we also announce new trek dates there as well. The trek itself is not considered all that difficult. 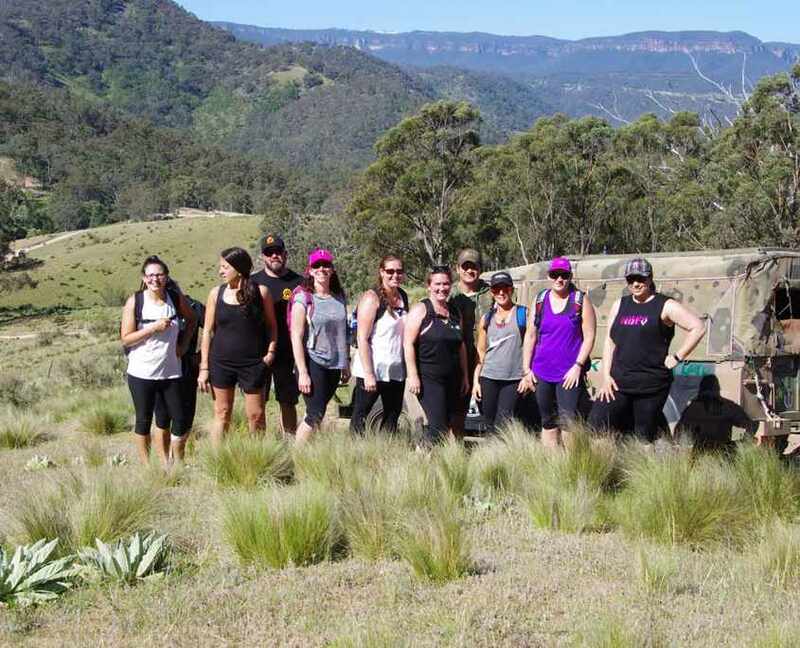 There are some challenging sections as you get closer to Coxs River of the first day, and on the last day as you make your way up the escarpment to finish the trek at Explorers Tree. 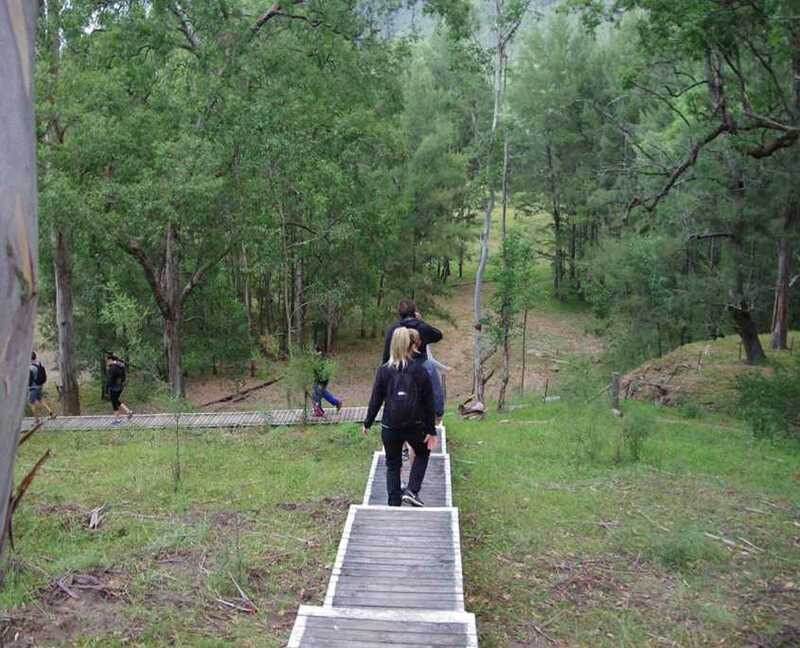 There is a fair bit of downhill walking on the first day, which we believe is better than going uphill, which is why we are able to comfortably do the trek in two days, vs three days going from Katoomba to Jenolan Caves. There is a support vehicle with the team for most of the way, so this is considered a trek that most people could actually attempt. Our biggest recommendation is to wear very comfortable walking shoes or boots. What is the accommodation like on Saturday night? The ecolodge accommodation on Coxs River is a dorm style large room with double bunks. For privacy and comfort. we book the 12 person cabin just for our team. The shower and toilet are outside but are well maintained, clean and private. The showers are very basic and it's generally cold water. Many trekkers elect to go for a swim in Coxs River if we arrive with plenty of daylight hours to spare and the weather is warm enough. What type of food do we eat? There will be plenty of food on the trek. You will receive a snack pack on the morning that we leave Jenolan Caves that will contain snack type foods and fruit that you can eat during the day. We have designed this snack pack as an energy supplement on top for the main meals that are served during the trek. For morning tea, we will serve tea and coffee and snacks. For lunch on the first day, we provide packed sandwiches and also serve tea and coffee. On Saturday night for dinner, our hosts at the ecolodge Pavel & Lucy will cater for dinner that is generally a slow-cooked goulash with rice and potato. Sunday morning breakfast is also catered by the ecolodge with a buffet style hot breakfast that is pretty amazing. You will also be provided with additional snack foods to get you through to lunchtime. Morning tea will also be served at Megalong Valley. If you have a dietary requirement, we will cater for you with yummy alternatives, so please make sure that you let us know about your dietary requirements on the adventure booking form. You will be taken through to our adventure booking form after you check out and pay for the trek. What facilities are at the ecolodge? The ecolodge serves alcoholic beverages. There is no mobile phone reception at the ecolodge. How many people on this trek? It all depends on the allergy or the medical condition, but we would strongly suggest that you speak to your doctor first before making a booking. If it is a food allergy, that will be no problem because that can be catered for by the ecolodge or ourselves who will be preparing our food. Please just let us know on the adventure booking form so we can make adjustments and arrange alternatives for what you can't eat. Yes, we only require a 20% deposit to secure your position on the trek if the trek is more than 30 days out with the full balance payable 30 days before departure. If the trek is departing within 30 days, full payment will be required when you book. If you cannot participate in the trek for which you have paid, you will receive a credit for 12 months to join another Six Foot Track trek over that period. Will I get access to photos and media content? 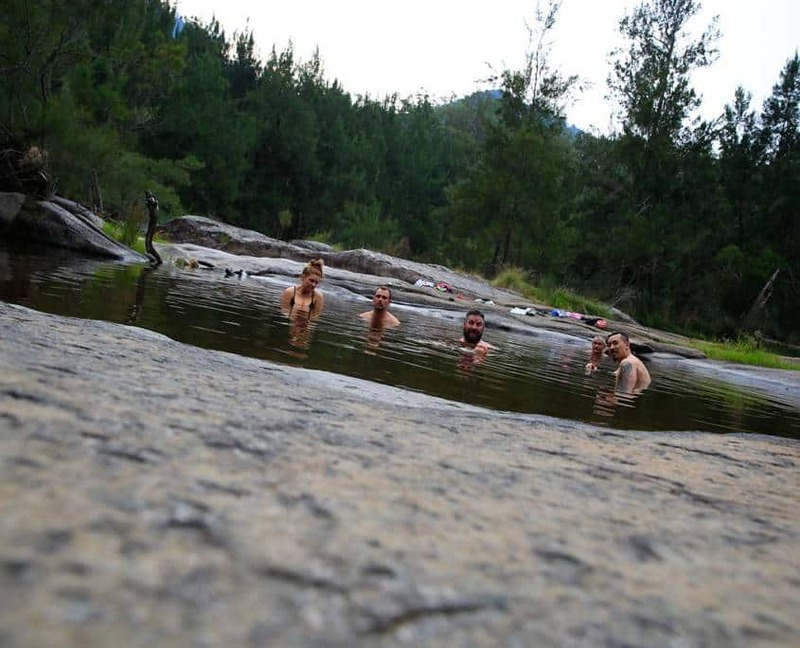 As an enthusiastic bushwalker, I found myself wanting to take on a weekend adventure. Peak Potential Adventures offered exactly what I was after with the Six Foot Track trek. The idea of a fully supported hike with only a small day pack to carry appealed. Their support vehicle carried the rest of our gear along with plenty of snacks and water tops ups as well as meals, meeting up at scheduled rest stops. Leaving me to only have to concern myself with the beautiful scenery the Megalong Valley has to offer, and of ever-changing vistas of bushland, picturesque waterfalls and the highlight was crossing the Bowtells swing bridge over the Coxs River. The river provided a refreshing and revitalising swim after the first day on foot. Our overnight accommodation was adequately providing a very comfortable bunkhouse. Overall, I found that while the hike was quite a challenge; fitness level of moderate required; the attentive, encouraging nature of the leaders helped me achieve my goal of completing all 45 km of the Six Foot Track. And I’m coming back to do it all again! Only a 20% deposit is required to secure your position unless the trek date is within 60 days and then the full payment is required.